This bright and light template design will move your products to center stage. Jumpstart is a great template to spotlight new products and brands. 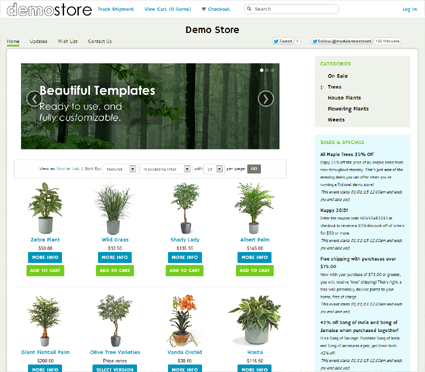 Kick your new store into gear with the Jumpstart template design! • Update to improve spacing issue that could happen between the content area and side column at some screen resolutions.